Dr. Peter W. Fritsch, the Chairman of the Department of Botany and Herbarium, California Academy of Sciences, United States, won the 2011 Chinese Academy of Sciences (CAS) Visiting Professorship for Senior International Scientists, and carried out three-month collaborative research in Prof. LI Dezhu’s lab in the Kunming Institute of Botany (KIB), Chinese Academy of Sciences (CAS). “I deeply appreciate the opportunity to visit the KIB through this CAS visiting program and thank the KIB staff for their hospitality and help. My visit was very productive,” says Dr. Fritsch. He was delighted by the striking progress in both research and renovation of the Kunming Botanical Garden occurring recently. 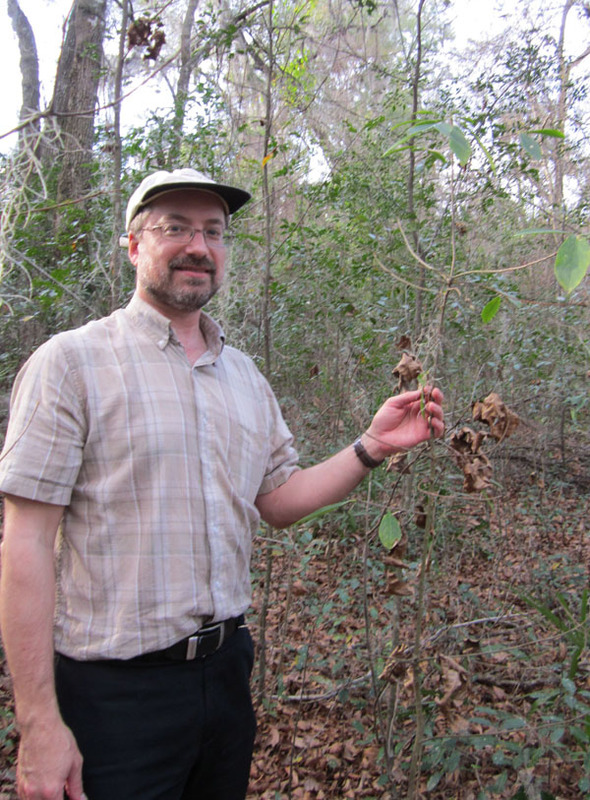 Dr. Fritsch is a famous plant taxonomist and biogeographer in the US. He is a member of American Society of Plant Taxonomists, Botanical Society of America, Society of Systematic Biologists, International Association of Plant Taxonomy, San Francisco Bay Area Biosystematists, Research Scientist at San Francisco State University, and a Visiting Professor of Zhongshan University, China. 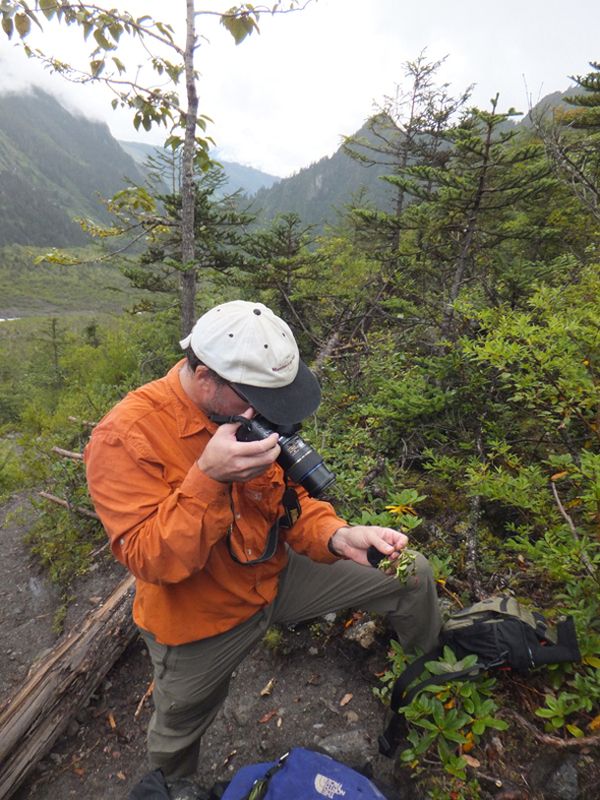 His primary research focuses on the systematics, biogeography, and evolution of Ericales, which includes many well-known plants such as blueberry, phlox, persimmon, primrose, and tea, in order to study how the evolution of these plants can help predict the effects and significance of climate change on the world's biota. Due to high biodiversity of Ericales in Yunnan and surrounding areas, he shows a special enthusiasm for study the plants of Yunnan. He is an old friend of the KIB. As the head of a large collaborative project as American counterpart from 1998, has lead a long-term, large-scale survey and inventory of the Gaoligong Mountains in western Yunnan to investigate the biodiversity of the land plants, arthropods, vertebrates, and Quaternary vertebrate fauna there. He and his Chinese counterpart proposed a series of conservation management strategies for the local government. From 2005, he and his American colleagues collaborated with Prof. LI Dezhu from KIB on the systematics and biogeography of the Gaultherieae (Ericaceae), which has a circum-pacific distribution. During the past eight years, they published 11 papers and discovered two interesting evolutionary strategies in the Himalaya-Hengduan Gaultheria. With support from the Visiting Professorship, he carried out several collaborative activities in KIB during the three months. He examined and annotated the herbarium collections of Ericaceae, Clethraceae, and Fabaceae; identified collections of Cercis, Gaultheria, and Vaccinium; assisted in identifying the collections of several families of Gaoligong Mountains material; and conducted 15 days of field work in NW Yunnan and W Sichuan, where he and his KIB collaborator, Dr. LU Lu, have discovered several new species of Gaultheria, confirmed several others, and documented important field morphological characters for this taxonomically complex plant group. In addition, he proposed plans regarding several exciting major studies on the genera Gaultheria (wintergreen oil) and Vaccinium (the blueberries and cranberries) for future collaborative projects with Prof. LI Dezhu’s Lab. These genera are economically important and of high potential value for sustainable utilization of Chinese natural resources. He said “In the US, the public well knows some of the local species of Gaultheria and Vaccinium and utilizes them in many ways; however, species of the two genera from China are little known by the Chinese public although most of them can be used for food, medicine, and horticulture. I hope that, as a result of our investigations, these plants can further benefit the Chinese people and bring a little color to their life”.